This Art Basel receives more than 70,000 visitors from all over the world. It offers a remarkable range of high-quality artworks to be seen and experienced. Leading galleries from North America, Latin America, Europe, Asia and Africa show work from the masters of Modern and contemporary art, as well as pieces by a new generation of emerging stars. 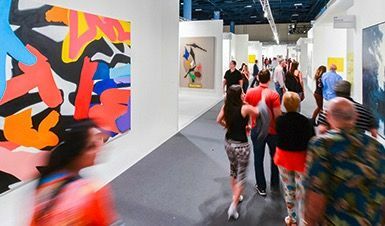 Paintings, sculptures, installations, photographs, films, and editioned works of the highest quality are on display in the main exhibition hall. We can't wait to experience this!